Improved Controllers Build: First Bout of Public Testing! We currently have General Arcade’s Stas working on a new controllers build, and we’re now at a point at which we need to hear feedback from PZ survivors who like to play with a pad, and/or in split-screen, about how it's playing. The joypad back-end system, configuration and bindings have been completely rewritten from the ground up, and in the process some aspects of the controls and default bindings have been changed in the rewriting process - if you have any issues with the default bindings and behaviours of the controls we'd like to hear about it. So what we need from you are answers to all of the questions below and a few hours of testing, and if you put in the time we will say thank you with a free Steam PZ code. PLEASE NOTE THAT WE CURRENTLY ONLY HAVE PC TESTING ON THIS BETA, SADLY MAC AND LINUX VERSIONS WILL NOT WORK. As ever, please be aware, that this build WILL be buggy – and that you should please back up your save games before installing and playing. How would you like your gamepad play further improved? Do you play in split-screen? If so, how is this beta playing? In the current game when you use inventory and character windows, your survivor on-screen can still move and perform some actions. If we were to forbid this, and have you either controller as your survivor OR having you navigate the UI, how would you feel? How would this change your playing style? This is only the first iteration of our gamepad improvement testing, so please expect a few bugs and inconsistencies. Is this a private beta that we need a code for, or just a server we access through the Join menu? And is it for the Stable, the IWBUMS branch, or other? I'll give it a try Great work guys. I played 2 short sessions, sorry I thought I would have more time. Does the controller work? Yes. I have activated the controller in the option before starting, but once in the game, controller didn't work. I had to press buttons randomly until it worked. Then I noticed the tiny menu in the top left corner This menu could be right in the center to make sure players won't miss it. How does your gamepad feel in-game? Is there anything missing, and has anything changed that you’re used to playing with? If I press "X", the pop up commands will show up, but won't disappear if I move away from the element I was interacting with. Let's say I want to turn on the oven, if I don't press "B", the pop up will stay there forever. Also, for example, if I face a door but there are objects that could be interacted with nearby, the priority may not go to the door. It can be tricky if I'm trying to go fast (but that's just an example). Suggestion: make some common actions like opening doors happen by pressing "x", but more elaborate interactions (ones that you don't usually do in a rush) by holding "x". On my 2nd run, I confirm that I have issues opening doors and entering vehicles. How would you like your gamepad play further improved? Looks nice so far. Do you play in split-screen? If so, how is this beta playing? Haven't tried split screen. What other gamepad bugs or weirdness have you noticed in this build? Game quit when I entered a vehicle. This build also contains a java lwjgl upgrade. Have you noticed any changes in game performance and stability, especially at higher resolutions? Game feels nice right now, nothing to complain about regarding performance. What's the Number 1 most important issue that you'd like to see resolved in the next update to this beta? Optimizing controls by giving higher priority to common actions likes opening doors and entering vehicles. It is a new Steam beta, accessible as IWBUMS would be - but with an initial password. I'm not seeing it in the list of available betas yet. Edit: And just like that it's on the list of available betas. Ah, so the "password" was the "access code". Hi, I have 2 Xbox 360 gamepads (and a person to test split screen with) and I'm a game dev myself. 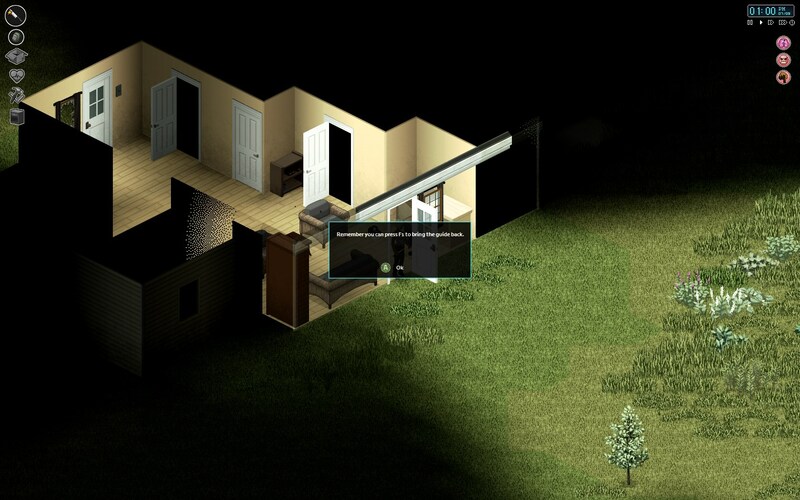 I have played Zomboid through Steam family share, but personally don't own the game. Is there a way to go into testing without having a game in my Steam library? I have never left great to see you Batsphinx by the way! Game looks amazing! Updated my post with some feedback, I hope this helps. Alright, guess it's my turn for some Feedback. 3. The new gamepad customization menu makes absolute sense and is great! This is pretty much all I've been asking for, a way to rebind the controller controls. It works perfectly fine for me and recognizes my XBOX One controller. The only way it could be improved in my opinion is by making it a bit clearer which tab is for which button. 4. The gamepad overall feels pretty solid, however, I still feel like some sort of "vibration" in intense situations such as driving at high speeds or taking damage would improve the feel a lot. Not much that I used to play with has changed, except that it just got a whole lot better due to the ability to change controller button binds. 5. Like I said above, controller vibration in intense situations would really spice it up by a whole lot! Other than that I don't think it needs further improvements. 6. No, I do not play in split-screen. 7. No offense, but that's a horrid idea and would severely handicap player freedom and movement. Imagine driving and wanting to eat a pack of chips, you open up the inventory and... Guess what, that suddenly makes your character unable to control the car and stop... Because he/she only wanted to eat a bag of chips. Or you quickly want to pull out your kitchen knife while walking away from a zombie that's trying to attack you? Good luck, cause if you're unable to move you'll just get eaten... Or you'll have to run to a safe spot a mile away from where you're standing just to pull out that knife and kill that one zombie. Please don't implement this, or make it exclusive for characters who are extremely high panic or all thumbs. 1. For some reason, the game always crashes when I'm trying to start up a car. 3. When exiting the game menu with the keyboard/mouse, or alt-tabbing, I have to take over the player again. 4. When walking at slow speeds (not running, not sneaking), the character always seems to turn in a random direction after stopping to move. 5. I can't seem to rebind the "Interact" and "ToggleInventory" buttons. No matter how many times I tried they simply go back to the original button binds when I'm in game. 9. No changes in performance... Is this responsible for making my game crash when trying to drive? 10. Fix the crashes when trying to drive. Added some more bugs I found. I'm still working my way through the questions, but I have noticed something interesting. In playing around with the controller options I have discovered that if I set the A button (X on the PS4 controller that I am using) to Interact that it will apply the interact command twice in a row in quick succession. This means that if I try to open a door for instance that it will immediately close the door right after. I also lost the option to select nothing. The blank space in the drop down menu was no longer there. I tried switching it to Melee instead of Interact to see if I could get the blank option to reappear, but instead what has happened is that the game is now applying interact twice as well as applying the melee action. On top of this I can no longer switch it back to Interact or any of the other options as it keeps reverting it to the Melee option from the drop down menu. There is no option to restore defaults that I can see so I'm curious as to what I need to edit or delete so I can continue testing. I also want to note that I am using a PS4 controller and the game is only showing me options for an Xbox One controller. Edit 1: I found the controller config file in the gamepads folder in the Zomboid folder on my C drive and deleted it and now all I can do is move around and bring up this screen for a while until it finally gives me the option to Take over Player 1 at which point it seems to reload the deleted config and all of the previous errors reappear. I still melee with the double interact. Edit 2: I have discovered another gamepad config file in the Zomboid folder itself. Deleted and continuing with testing. I've also tried removing all controller configs from Steam but the PS4 one and seeing if this does anything. Edit 3: I have config settings available for both an Xbox controller and a generic controller now, though I only have one gamepad plugged in. I'm not sure where the other setting came from or what it is connected to. Also, the triggers no longer work for attack and melee and instead the shoulder buttons are using this function instead, even though in the settings the configuration is showing the triggers set to melee and attack. The game also won't let me keep facing the direction I was in when I stopped moving and keeps rotating me to face in one of the 4 cardinal directions, usually to the lower-left or the lower-right. I wonder how much of this is related to the game detecting my controller as an Xbox controller and not the PS4 controller it is. I'm not a very techy person so I'm not sure what I may be doing wrong or how best to report everything as it happens. Adding more information to the post. I hope it will be supported by the game. 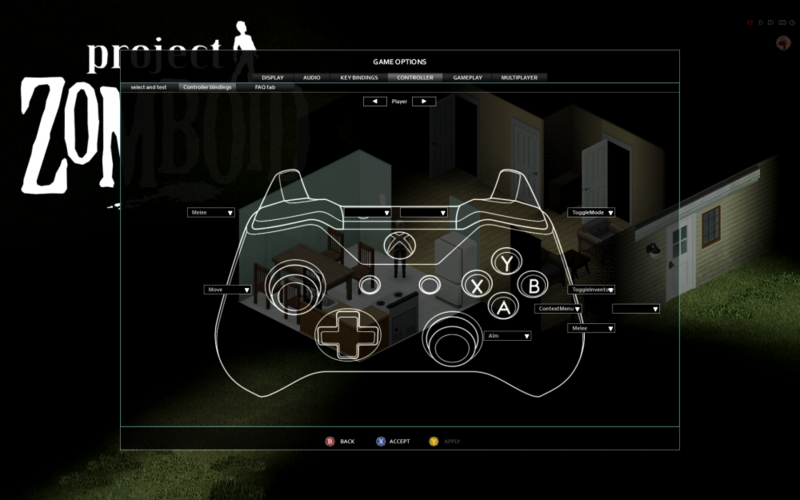 Please check out the new gamepad customization menu in the Options. Does it work, and does it make sense? Is it relevant to the pad you’re using? How could it be improved? - well firstly the options are really confusing with the locations, took me a good minute to analyze that, secondly, i think you should combine UI in both the car menu and player menu somehow, cause its an essential part for me to understand how to use the UI(still trying to figure it out). How does your gamepad feel in-game? Is there anything missing, and has anything changed that you’re used to playing with? - on first usage it a little cluncky.. cant navigate through the controller menu using the controller. in game - cant use melee for some reason with the LT button, and my character move weirdly even when i don't touch the analog controllers, so you can say half of it working. another thing that is bothering is how you cant always see what you are "hovering", it should be more clearer, like maybe "fill" the option you hover in the color instead of just the edges. also when in inventory screen you can't use the aim analog properly, it just stops responding. How would you like your gamepad play further improved? - see the above ^^ + CANT SEE CONTROLLER TEXT IN FOG BECAUSE ITS WHITE AND THE FOG HIDES IT. In the current game when you use inventory and character windows, your survivor on-screen can still move and perform some actions. If we were to forbid this, and have you either controller as your survivor OR having you navigate the UI, how would you feel? How would this change your playing style? HORRIBLE IDEA, this game is all about being in motion and changing stuff while playing, forbiding this will annoy the game flow. it will defiantly change the way i play so i would need to play safer i guess. What other gamepad bugs or weirdness have you noticed in this build? short list of what iv'e encountered so far - 1. Character move even when i don't touch the sticks, 2. cant use melee with LT button, 3. cant aim when inventory is opened. edit - 4. game crashes back to menu upon entering to the shotgun seat of a car and then switching to the driver seat. This build also contains a java lwjgl upgrade. Have you noticed any changes in game performance and stability, especially at higher resolutions? no not really. What's the Number 1 most important issue that you'd like to see resolved in the next update to this beta? all the problems ive said in the above text feeling essential before releasing another beta. its unplayable as of right now. Notice [Controllertest] is not on the list. Controllertest will now appear on the pulldown list. Select it to download the build. The controller menu does see my controller, but the D-Pad doesn't seem to register on the test screen. When I went to test this build, I had ORGM, SuperSurvivors loaded, and got 9600+ stack trace errors relating (I think) to key binding features in both those mods so heads up... I'm currently reverting back to make sure my old settings work..
One thought... So the STEAM controller configuration lets you assign multiple functions to a single button. I use my Right ThumbStick's button (R3) to control zoom. I'm not seeing any advantage to this controller configuration build vs. what is built in to STEAM.... or am I missing something ? Runs smoother / faster ? Now if you guys can add more button mapping functionality that would be pretty cool... Currently, when things get thick on screen... the double clicks don't register too well via STEAM config... so maybe if it's built into the game it would be more reliable ? I relegate a few "Rarely Used" to keyboard so as to leave room on the controller for more vital things... The Horn/Yell for instance... has no place on my controller at the moment. But just about everything else I need to do can be done via controller. That is, until you start running lots of mods with even more Key Bindings!!! Here is my recommendation/solution that would imo make controllers much more viable. - It expands and contracts in terms of # of slices based on how many functions are programmed into it. There couldn't be icons since this would essentially be an overflow radial to handle whatever the player wants... Then as you push in that direction, text could appear which can be assigned same way a Backpack is re-named. I currently use the D-Pad to activate Radial menus. It would be awesome to have a custom DIY radial menu to handle all the little things that don't get direct button press priority!!!! if you have any trouble with bindings clean file gamepadBinding.config and folders joypads/gamepads. These folders placed in system user folder, for example: C:\users\<your os name>\Zomboid. The Steam Controller was built for this type of game. Please allow simultaneous gamepad and mouse/keyboard input and options to choose between gamepad UI or mouse/keyboard UI. I'll try and find time to test the build. Before you let me know what specific feedback you are looking for I wanted to point out a few things I have made note of. Combat is much easier on controller, but navigating the menus is a lot harder to do. You can't select multiple items like you can with keyboard and mouse. It would be nice to have some button combos that you could use to highlight items while in the menus. I'll have to jump in the game and remind myself what all the buttons do in the inventory before I can suggest any button combos that might work with the current configuration. Also, something I've had problems with was upgrading walls in carpentry. It's hard to tell which wall you are targeting, and I have found that some walls cannot be upgraded. You actually have to destroy the surrounding walls before you can upgrade them. The workaround for this is selecting them with the mouse. The problem with this is that in order to cancel out of the right-click menu you have to click again with the mouse. If you try to cancel out of it with the controller you end up climbing through the frame, which when you're doing carpentry above the first floor it will result in fractures. When placing objects using the furniture moving tool you can't rotate them before placing like you can with the keyboard and mouse. Also, with the foraging menu you have to scroll down the list of selections before being able to select OK. I'd much prefer a wheel menu with the different options around the edges which you can toggle on and off and the option to select OK right in the middle. This might work for keyboard and mouse users as well. I would also like to see the time controls maybe moved to right on the D-Pad as it is currently unused. Anyway, taking a break from testing as I try and get my controller issues sorted out so I thought I'd throw this here. Edit: As well as not being able to select multiple items like you can with keyboard and mouse, there is no option to move something from one container to another container aside from being able to drop something on the floor or move something from your inventory to your backpack or bag carried in your secondary slot or vice-versa, or between your backpack and secondary storage. I can't select food in the fridge and then move it into the freezer for instance. Another missing option is being able to turn your flashlight on or off like you can on the keyboard, at least as far as I know. I have to find a flashlight now and test every option on the controller to see which button or D-Pad press might be the one to turn the flashlight off and on again. Wired XBOX 360. Gonna try a wireless XBOX 360 one later. First of all, I don't know if the problem is with the controller or the game, but I feel like everytime I stop moving, my character faces the wrong direction. It's annoying as heck, since I need to manually aim with the right stick to be able to interact with stuff after I stop moving. Also, opening doors with A is really frustrating. A better door detection would go a long way. And the character facing the direction he is supposed to after I stop moving. I don't think it's a good idea to stop being able to move, since the game doesn't pause when you are messing with the UI. So no, this is not a very good idea. After I entered a car, the game sent me back to the main menu. I pressed continue there, for some reason spawned in the house next to the car and the controller acted weird as heck, with the directions all inverted. I went to the menu, but none of the checkboxes for invert axis were checked. It's been a long while since I've played, so I can't really say if there were any performance gains. The game seems to be running fine here. Well, if it's really a bug and not just my controller, I would like the character to actually face the direction I was moving when I stop moving. It's annoying to move to a container, stop and the character face the other direction, so I have to manually aim to the container to be able to open it. I tried putting the sensitivy all the way up on the options, and it didn't seem to fix it. The 2nd most annoying thing is defintely opening doors with A. Yes, though until I selected the option in the top left to "Take over Player 1" I could control the character but the movement controls were inverted and none of the buttons would work. Later on the movement controls were fine but the duration before the option to select "Take over Player 1" was extended and it was some time before I could select it and the controls were fully usable. This includes the pause menu where I was forced to use keyboard and mouse until the "Take over Player 1" option finally appeared. It's giving me the options for an Xbox controller despite the fact I am using a PS4 controller. Only some of the keys allow me to customize them. I can't edit anything on the D-Pad for instance. Some of the options available aren't very clear. Selecting "Interact" for the A key (X on PS4) actually triggers the interact function twice. So attempting to open a door will open it and then close it immediately afterwards. After setting this option I can no longer unset it. There is no option to restore defaults either. Edit 1: I tried remapping to something else to fix this issue and instead it simply mapped another action (in this case melee) onto the double interact action. Edit 2: I later corrected this by finding and deleting all of the config files though it took me a few tries to find them all. I also had to revert to the build I was playing on before and then switching back to the controller test beta build. Though this time around the triggers remapped themselves to the should buttons, only with both actions activating at the same time, so I would get the look option while trying to attack. Targeting feels much trickier than before. My character likes to look in one of the 4 cardinal directions when stopping instead of staying put. See below. Some of these items listed below were suggested before I tried the controller test and I may need to make changes to them after further testing. Some may still apply. I have never played split-screen. I expect I am going to die a lot more if this was implemented. I'm not sure I'd like it. Keyboard and mouse users already have a lot more freedom being able to move when the health window is open. On controller you have to exit out before you can move. Targeting containers is a lot more tricky. Playing around with the options has resulted in the above mentioned bug where I melee while interacting with objects twice in quick succession. The game won't let me stop moving and face in the direction I was in when I stopped. It wants to re-position me to one of the 4 cardinal directions, usually down-left or down-right. Getting into a car crashes the game. In the controller configuration menu where you can test your inputs, you are told you can select both A and Y to exit which doesn't work. I also have an issue where every time I start up the game from the desktop the game will reset all my windows and move them all to the default monitor if I have any windows on the other monitor and I'll have to move them all back. On IWBUMS I have Borderless Windowed set to yes and Fullscreen set to no. On the Controller Test beta I have to set both to on or I get a bordered window. Not yet. I've been too busy struggling with getting the controller working properly in the first place. I'm not sure at this point if it's an issue with the controller test beta or if it's an issue on my end. I'd like the game to actually detect my PS4 controller and display all of the PS4 related graphics in-game. I'm already missing the Transfer All and Loot All options from the stable and IWBUMS builds. The rotating at the end of movement thing makes it almost impossible to interact with most objects without having to use the right analog stick to aim your character at the object and I hope that this is fixed right away. Combat is much easier on controller, but navigating the menus is a lot harder to do. You can't select multiple items like you can with keyboard and mouse. It would be nice to have some button combos that you could use to highlight items while in the menus. I'll have to jump in the game and remind myself what all the buttons do in the inventory before I can suggest any button combos that might work with the current configuration. I would also like to see the time controls maybe moved to right on the D-Pad as it is currently unused. At present they are on the Select/Share wheel menu. As well as not being able to select multiple items like you can with keyboard and mouse, there is no option to move something from one container to another container aside from being able to drop something on the floor or move something from your inventory to your backpack or bag carried in your secondary slot or vice-versa, or between your backpack and secondary storage. I can't select food in the fridge and then move it into the freezer for instance. I'd like to be able to turn on and off the microwave and the stove while in the inventory screen. The Transfer All and Loot All options have been added in the stable and IWBUMS builds and they were only available to keyboard and mouse users previously. I'd like this added too. I will update after further testing. I learned a thing and was reminded of another things so I decided to make a few changes. 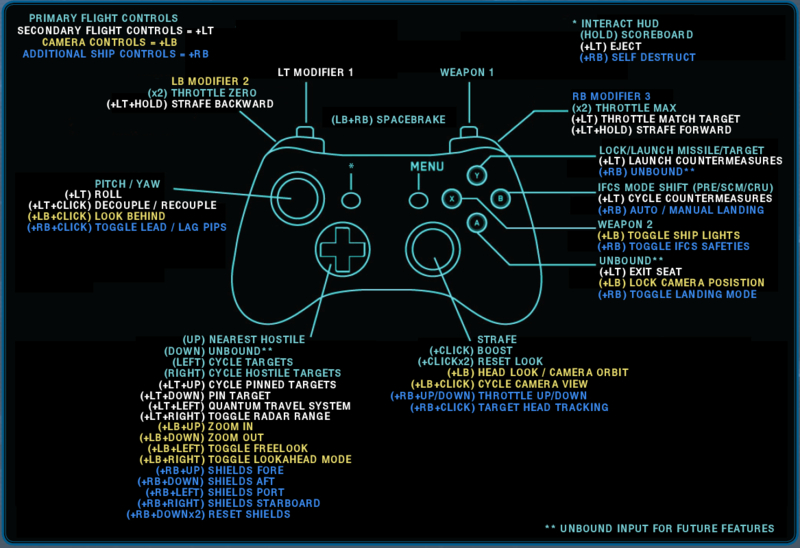 Please check out the new gamepad customization menu in the Options. Does it work, and does it make sense? Is it relevant to the pad you’re using? How could it be improved? I had very mixed emotions with my controller. I was not relevant to my controller, or at least it didn't come across as being able to map the correct controls to the buttons I would have like it to have been mapped to. How does your gamepad feel in-game? Is there anything missing, and has anything changed that you’re used to playing with? I didn't care very much for how it felt in game. Most of what was missing happened to be directly related to IWBUMS and how the controller has almost always been supported for this game. How would you like your gamepad play further improved? I say add the ability to customize the controller but keep the IWBUMS controller settings as a default. Do you play in split-screen? If so, how is this beta playing? Played almost four hours today with my best friend on split screen and as always Zomboid never fails to disappoint! In the current game when you use inventory and character windows, your survivor on-screen can still move and perform some actions. If we were to forbid this, and have you either controller as your survivor OR having you navigate the UI, how would you feel? How would this change your playing style? I've gotten very used to how the controls have been in IWBUMS for many, many hours now and I wouldn't mind at all being able to move around while in my inventory. What other gamepad bugs or weirdness have you noticed in this build? I noticed that right off the bat my controller quit responding and I had to restart Zomboid to get it going again. It happened a couple of times, but otherwise wasn't too bad. This build also contains a java lwjgl upgrade. Have you noticed any changes in game performance and stability, especially at higher resolutions? I noticed that my game ran smoothly until I hopped in a vehicle and hit about 100 miles/hour and then my vehicle started flickering in and out on the screen. What's the Number 1 most important issue that you'd like to see resolved in the next update to this beta? I would love to see current controls from IWBUMS 40.35 stay in place as default for controllers from which we, the players, can customize from there. As always, thank you TIS for such an awesome game! Thanks for the testing opportunity, guys! Love the progress. 1. What controller are you using? The Logitech Gamepad F310 (though as far as the software is concerned, it's seen as an Xbox controller). Yes, no issues getting it to run. The game recognized the controller right away. The menu works and is appropriate for my controller. It might make more sense if the separate menus were merged; maybe the info from the Controller bindings tab could go in the empty space under the Axis inversion options. Feels great, all in all. It's refreshing to use a dual-stick to navigate, especially in a fight. I didn't find anything outright missing. - I would like it to be more clear where my 'cursor' is in the more complex menus. Especially when building a character, I sometimes lost what option it went to next. This could be helped if the text of the option I'm on (not just the box) was bolded or highlighted as well. On a related note, it wasn't clear how to get to "Ready" in the character build menu; I kept getting stuck on the "Select to load" dropdown. In the player creation menu, the 'cursor' should start at the top rather than the bottom of the screen. - I'd like the A button to do more, being a dedicated 'quick action' key. Also, it feels like the context 'sensitivity' for the A button is less than the E key. I feel like I can open a door with E sooner than the A button prompt comes up. - It'd be nice to have hold-press functions for the buttons. For example, I like that I can use E to open a window and then hold it for a tactical exit. Also, I can hold space to continue kicking a fallen zombie; it'd be helpful if the controller buttons acted similarly. - I like using the left and right bumpers to navigate down different containers; it'd be good if the left and right triggers went back up. No, I've only played with friends online. I prefer the current way, and in fact would like it if the right stick still allowed me to turn around while in menu; that way I could easily go from one container to another. I'm okay if movement were forbidden as long as there were a quick way to jump out of menu when zombs inevitably jump me. - If I use the "Interact" key when not near anything interactive, it seems like I get reduced functionality button-wise. Maybe it's trying to pull up an invisible dropdown? I can only get out by pressing B, and can then use all the regular buttons again. - When I stop moving without using right stick to look around, my character snaps to looking at a nearby direction. It'd be best if my character just kept looking in whatever direction I stopped at. - When there are multiple things nearby, it seems like the "Interact" key reacts with all of them. I was looting a sink cabinet, and when I pressed the Interact key to loot an item, I vaulted through the window over the sink. I didn't see any performance changes, good or bad, but PZ already ran pretty well for me before. Looking forward to seeing this feature--and the game itself--keep developing!